Designed specifically for toy, fashion and other electronic product developers, the Fuzzy Sensor Developer Kit offers an up-close look at IFM's patented fuzzy sensor technology. The kit is an outstanding vehicle for exploring the possibilities of product development in commercial and/or conceptual practices. See our Licensing Kit for more information on licensing and working with IFM's patented technology. 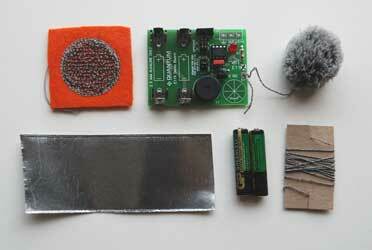 You may have noticed a recent increase in the price of our Fuzzy Sensor Developer's Kit. Due to an increased cost of electronics from our suppliers, we have very reluctantly had increase the cost of the kit. We are currently searching for new suppliers to bring the cost of the kit back down. We thank you for your understanding.